Keysight Technologies will exhibit the latest end-to-end R&D to deployment test solutions for user devices to network infrastructure for 5G, cellular IoT, LTE and WiFi at Mobile World Congress Americas 2017, North Hall, Stand 1246, San Francisco, Sept. 12-14. Keysight’s single solution, the E7515A UXM Wireless Test Set, addresses all industry requirements from functional to operator’s acceptance for cellular technologies including GSM, TD-SCDMA, WCDMA, LTE, NB-IoT and Cat M1. Keysight’s network emulation solutions (NES) allow test cases scripting, parametrization and full automation besides management and execution of test campaigns of validated test cases for certification. Functional, performance, conformance and operator’s acceptance tests are available using the most advanced software to maximize test efficiency while minimizing time to market. Keysight’s T5510S Cellular + WiFi Emulation System allows engineers to thoroughly test cellular and WiFi simultaneously. Using Keysight’s E7515A UXM network emulator coupled with Ixia’s industry-leading Wave Test System, completely new capabilities are enabled, such as the ability to emulate a complete cellular and WiFi system - from data traffic generation to physical transmission, layers 1 to 7. This industry-first solution allows users to evaluate the performance of complex multi-mode devices under conditions that closely match real-world environments. Keysight’s 5G network emulation solution (NES) portfolio offers a single solution for RF, RRM and protocol testing - from early design and verification to pre-conformance. Performing comprehensive tests quickly and managing program risk are critical success factors. Keysight’s Wireless Fronthaul Network monitoring solution enables operators to get significant insight regarding the quality of service and customer experience, and help measure, improve and troubleshoot fronthaul operation. Keysight’s monitoring solution provides a real-time dashboard of 5G fronthaul control plane with continuous monitoring of DCI messages. This monitoring solution delivers measurements that spans over multiple domains, including CPRI frame analysis, modulation measurements and wireless protocol analysis and monitoring. Keysight’s Nemo 5G measurement solution provides a complete system for 5G radio propagation and coverage verification. This 5G test solution is designed for mobile operators and network vendors who need to 1) verify 5G coverage; and 2) evaluate and verify 5G base station propagation models by measuring the signal power level from the 5G base station. Keysight’s Nemo Cloud solution connects Nemo products, RF measurement and analysis processes, and data feeds, into one end-to-end solution streamlining operations and related OPEX. This solution provides real-time control and monitoring of measurement product fleets, as well as improved responsiveness of measurement projects in the field. The centralized solution and fleet control, together with online inventory management, provide the tools engineers need to get more out of their measurement resources and product portfolio. Keysight and Ixia Solutions Group offer a best in class platform for validating Gigabit LTE RANs and EPCs that is specifically designed to scale to Gigabit levels and beyond. IxLoad Wireless with XAir2 and PerfectStorm validate the functionality, capacity and performance of Gigabit-LTE enabled RAN. This includes 4x carrier aggregation, 4x4 MIMO and 256 QAM; and measures the true quality of experience (QoE) for mobile subscribers and services at massive scale using wrap-around or end-to-end testing. Keysight and Ixia Solutions Group have added cellular IoT emulation and test capabilities to IxLoad Wireless, a high-scale cellular test solution designed to validate the functionality, capacity and performance of newly introduced EPC elements, such as C-SGN, using technologies including S1-Lite and Data over NAS. 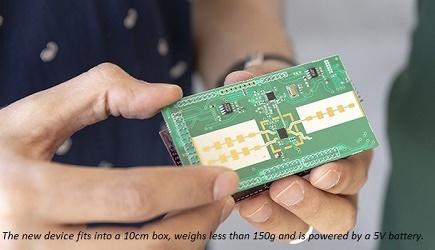 The test solution is also used for validating the functionality, capacity and performance of cellular IoT-enabled RAN by emulating regular UEs and cellular IoT UEs at scale, using technologies such as CAT-M1 and NB-IoT. Click here to learn more about Mobile World Congress Americas 2017.